Having trouble viewing Newsletter? View Online. Brand-new UP EN B - the KIBO! 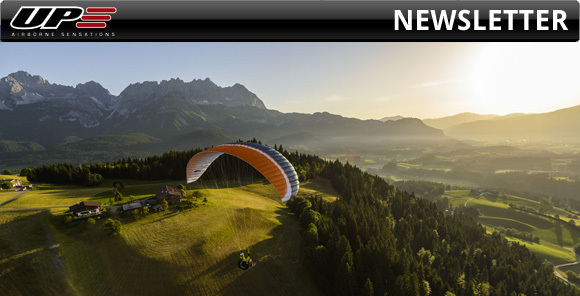 The UP Kibo is built to progress on – it is the perfect mix between a very safe and forgiving beginner's wing and a performance-and-XC paraglider, meaning it will teach its pilot exactly how performance gliders fly, and how good they are, but it will look after them while doing so. The UP Kibo handling is optimised for maximum performance in lift, and for transmitting information about the air to the pilot. It is thus a more communicative wing than, say, the new UP Makalu 4 – think of it as the ideal mix between a Makalu 4 and a Summit XC3. This makes it a great tool to learn and progress on, for those pilots eager to some day fly high-performance wings. 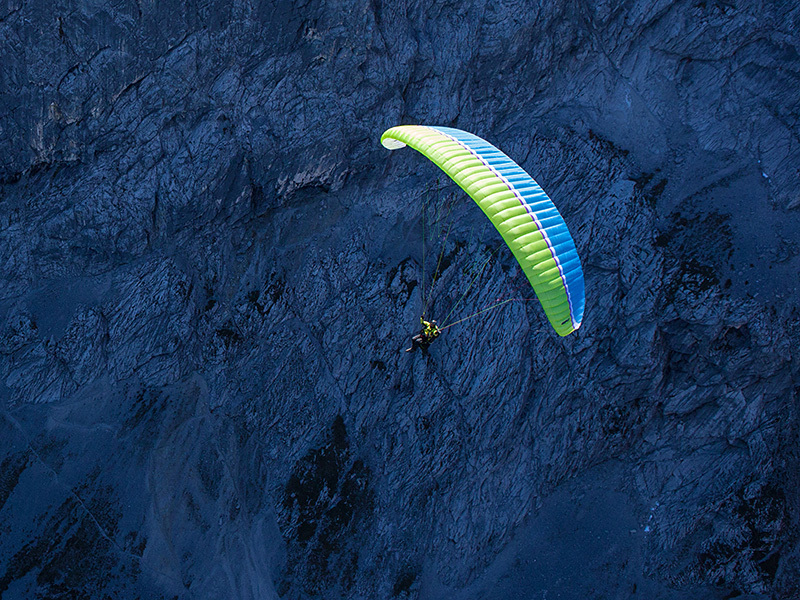 As with all UP wings, the new UP Kibo is designed to perform. Here at UP we think of our new baby as the perfect mile-muncher, going through XC kilometers like Smarties and being very relaxed about it all the way. The way it flies is reminiscent of the UP Summit XC3, just easier, so the novice XC pilot may clock up those important hours and km safe in the knowledge that the wing will be looking after them. 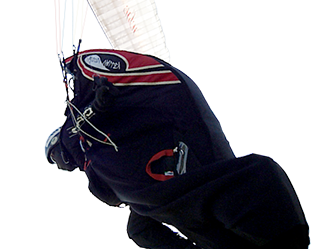 The UP Kibo uses a similar New Generation Aerofoil to the one used on the Summit XC3 and the Trango XC3, but optimised for this category of wing. This means a moderate shark-nose shape, perfect for biting through turbulence and staying open when the going gets rough. Just like its performance siblings it converts bumps to altitude well, meaning it will help the budding XC pilot get the most out of every outing both in terms of flying pleasure and experience accrual. We expect to begin supplying the new UP Kibo in size M from March 2016, with the other sizes to follow shortly thereafter. We hope you have enjoyed a glimpse of what we had on our minds for you this time around, till the next time please fly safely and HAVE FUN, whatever your game is!